Artist Jessica Hollander captures the serenity of nature in paint. Her style is impressionistic, with a peaceful vibe and subdued colors. But her traditional paintings--large landscapes--weren’t practical for a wide audience. These limited edition ornaments, by Jessica’s home decor line India & Purry, bring her work to a scale suitable for everyone. Using a photorealistic transfer process, a Brooklyn studio prints small sections of her paintings on porcelain. The results are stunning, translating the spiritual energy and calm colors of her brush. Whether hung alone or in groups, these all-season ornaments will bring outdoor beauty to a window or tabletop tree. 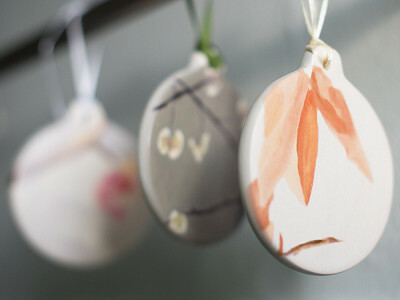 Collect them yourself or start a tradition by making them a present for a hostess or nature lover. 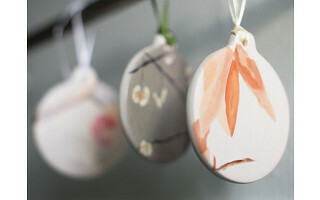 Each ornament is signed by the artist and beautifully packaged for gifting. 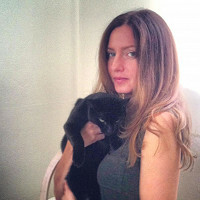 Hello, I'm Jessica, the artist behind the India & Purry home collection. I am thrilled to be a part of the Grommet and truly passionate about my porcelain room ornaments...they really add a soft and whimsical touch of beauty to a space and impart a peaceful, healing energy. Why isn't the ornament with the blue background and the tree with pink flowers available? I think these are absolutely beautiful and I would order them IF they were printed on both sides. These are beautiful. I like that they are printed only on one side. I would display them in my home proudly. @Jennifer I will absolutely take that into consideration, Jennifer. Thank you for your thoughts. I always appreciate feedback! Artist Jessica Hollander captures the serenity of nature in paint. Her style is impressionistic, with a peaceful vibe and subdued colors. But her traditional paintings--large landscapes--weren’t practical for a wide audience. These limited edition ornaments, by Jessica’s home decor line India & Purry, bring her work to a scale suitable for everyone. Using a photorealistic transfer process, a Brooklyn studio prints small sections of her paintings on porcelain. The results are stunning, translating the spiritual energy and calm colors of her brush.